At Sol Quality Cleaners, we take care to provide our customers high quality services personalized for their unique needs. Our staff members are professional, courteous and efficient. 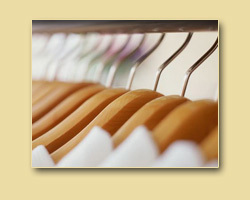 Dry cleaning uses fluids to remove soils and stains from fabrics. Among the advantages of dry cleaning is its ability to dissolve grease and oils in a way that water cannot. Natural fibers such as wools and silks dry clean beautifully, but can shrink, distort, and lose color when washed in water. Synthetic fibers like polyester also respond well to dry cleaning, whereas they can retain oily stains after washing. Dry cleaning helps to return garments to a "like-new" condition using precautions to prevent shrinkage, loss of color, and change of texture or finish. We guarantee that your clothes will come back looking, feeling, and smelling their very best. 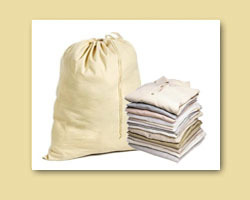 We also have commercial laundry departments where we process shirts, cotton pants, and other items. With the convenience and superior level of pressing that comes with commercial laundry, it won't just be your dry-clean-only clothes that look like a million bucks. Your business casual and casual attire will look their best, too. When the seasons change, we can be there to help you with special cleaning and storage of comforters, tablecloths, and other household fabrics. In addition, we can help everyday with those oversized items that just can't be cleaned properly in your home washing machine. 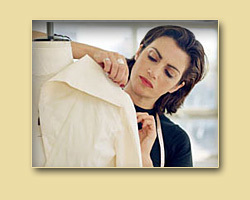 Sol Quality Cleaners is proud to provide expert alterations. From the smallest repair to major adjustments, our professionals will deliver the highest quality work. Our services include replacing zippers and buttons, making size alterations, shortening and lengthening hems, and much more. Our Wash, Dry & Fold service meet the needs of everyone, from singles on the go, to parents with children, to busy professionals. We sort, wash, dry and fold your clothes just like you would do it at home. All you have to do is to put everything you need washed in your laundry bag (separate from your Dry-cleaning clothes) and we’ll do the rest. It’s convenient and you’ll LOVE IT, it's that simple!!! We offer expert rug repair and re-fringing service. 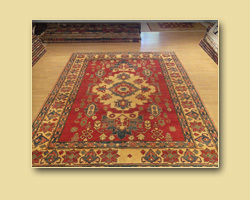 We clean all types of Area Rugs ranging from Chinese, Indian to Persian. Service is available and the turn around period is approximately 2-3 weeks. Comforters, bedding and/or sleeping bags is carefully inspected and then cleaned according to the manufacturer's recommendations. It is fluff folded and packaged for convenient unwrapping when you are ready to use it again. 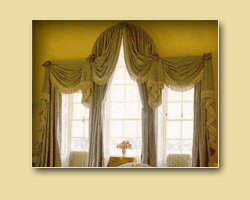 Our trained professionals carefully inspect drapes for spots and stains, and then delicately clean, steam and roll pleat them for a professional finish. Drapes are packaged ready for hooks and re-hanging. Animal skin (leather and suede) has natural irregularities that give it a natural rugged look that is extremely appealing. 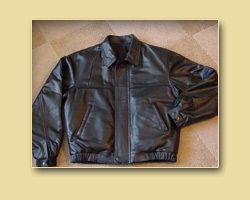 Sol Quality Cleaners uses a special company that preserves the leather's natural appearance by replenishing the tanning oils lost through age and use. Extra time and care is taken to clean and protect your leather and suede goods. Sol Quality Cleaners offers Shoe & Bag repair service for your convenience. 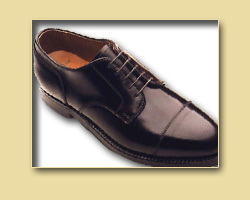 We will make sure your dress shoes, sandals, boots, sneakers etc., always look their very best. Now you can bring that shine back or get heals and soles replaced and most any other request you may have without having to make that extra stop. 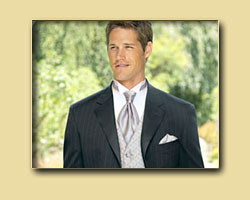 ​Sol Quality Cleaners understands that Formal Wear is a major investment and deserves a very special touch. We take special care so your formal wear will shine - spotless, bright and beautiful. Some formal wear garments have a substantial amount of beads or sequins, and these items require hand cleaning and special finishing. Your wedding Gown is a memory of your wedding day. 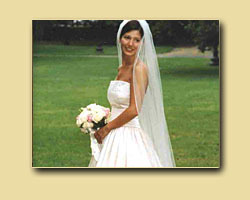 Cleaning and preserving Wedding Gowns requires a high level of expertise and personal care. Don't let the memories fade, let us preserve it for life. 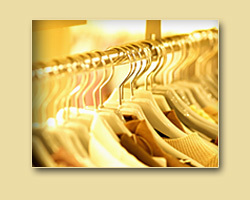 We offer Professional Cleaning and Preservation services for: Wedding Gowns, Dresses, Tuxedos, Suites any valuable Item.